Legit Reviews Mods and Ends How Quick Is The Netgear RMA / Warranty Process in 2018? Most review sites don’t cover the RMA process, but trying to get a consumer electric device repaired or replaced under warranty can truly be a painful experience and is something we like to cover. 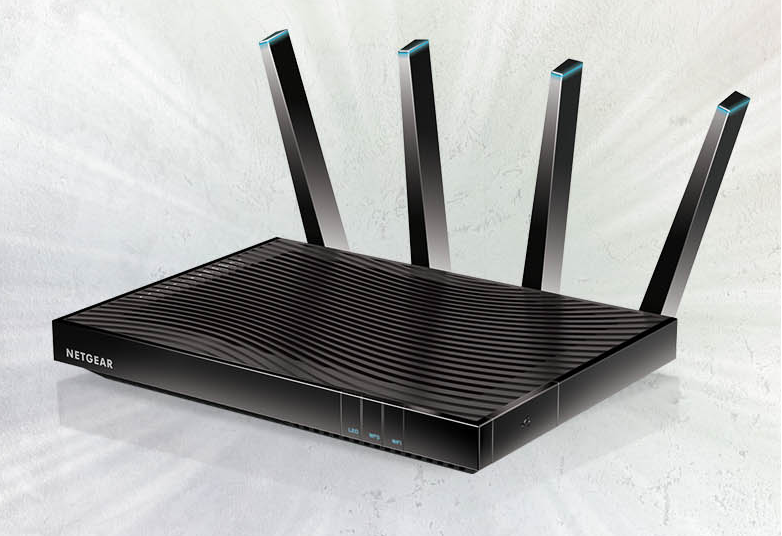 We recently had a Netgear Nighthawk X8 AC5300 Smart WiFi Router give up the ghost when it got stuck in a reboot loop. Power cycling the router and hitting the reset button didn’t change things and we couldn’t even connect over tftp on Linux. The good news is that this model was still covered under the devices 1-year warranty, so we figured that we’d contact Netgear customer service and start the RMA process. We should point out that Netgear support on wireless routers is only 90 days from purchase, so don’t seek help for your problem as you’ll likely get a sales pitch for $49.99 premium technical support. 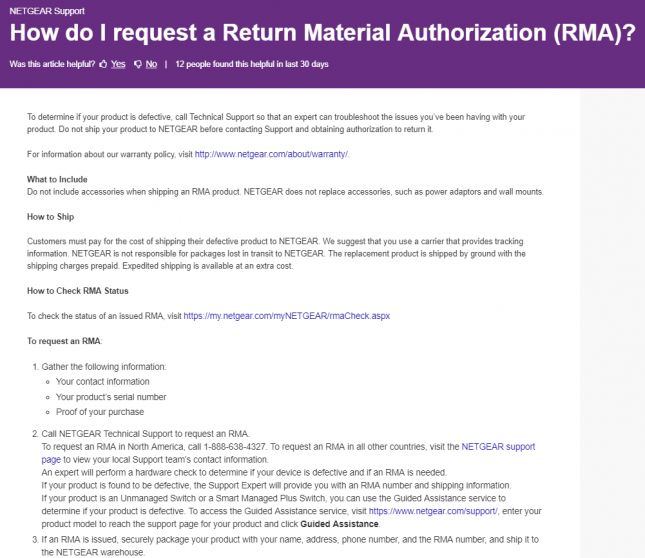 Ignore all that and just call Netgear technical support to start the RMA process by obtaining authorization to return the device. There is no online form to fill our or chat support application to use. To request an RMA in North America, call 1-888-638-4327. To request an RMA in all other countries, visit the NETGEAR support page to view your local Support team’s contact information. The nice part about asking for an RMA is that they will try to solve the problem and troubleshoot it with you over the phone as they don’t want to replace your device unless it had a hardware failure. We woke up to a broken router, so we called Netgear Technical Support at 7:15am CT to initiate the RMA process. It was a national holiday in the United States, but we were able to get someone on the phone from what sounded like an overseas call center. We explained to the customer service representative that our Netgear Nighthawk X8 Wifi Router was unresponsive and stuck in a reboot loop. Every couple minutes the router would reboot and when it wasn’t doing that it had just the amber power light on. After doing what technical support wanted us to try they informed us we had a hardware failure and that we needed to send the router back. We were informed that no matter what customers are responsible for the freight charges to NETGEAR. We were then offered three difference RMA services – Standard Swap Exchange, Advance Ground (U.S. Only for a fee of $16.90) and then Advance Next Business Day (U.S. Only for a fee of $29.90). We opted for the standard swap exchange as it was free. 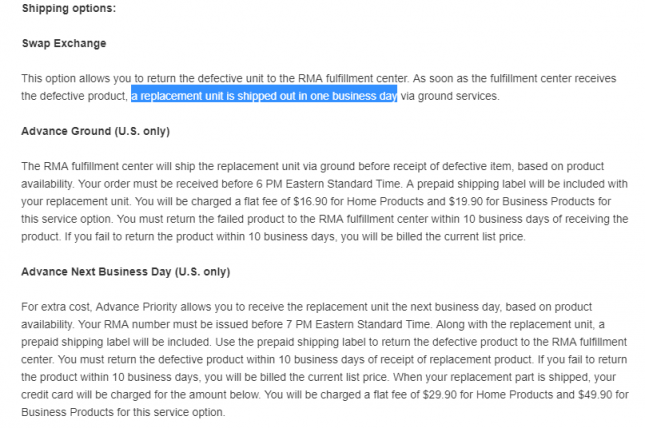 According to the Netgear website, as soon as the fulfillment center receives the defective product, a replacement unit is shipped out in one business day via ground services. That sounds pretty quick and easy. After telling the customer service agent that we wanted option one she informed us that Netgear is in the process of changing their internal software and that they would have to process the RMA manually on their end. 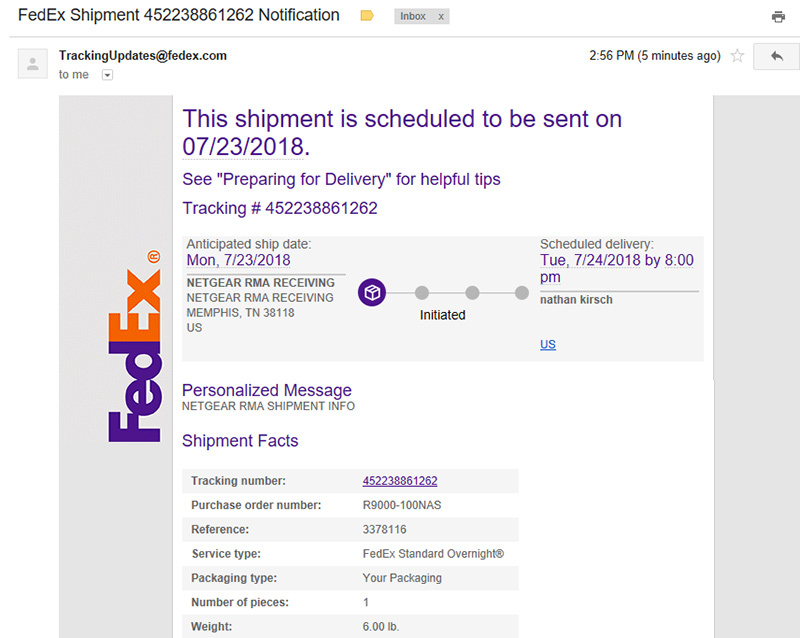 That we should ignore the first e-mail that we get from the automated system as she was going to select the service and enter in our shipping information. She then gave us not one number, but three. 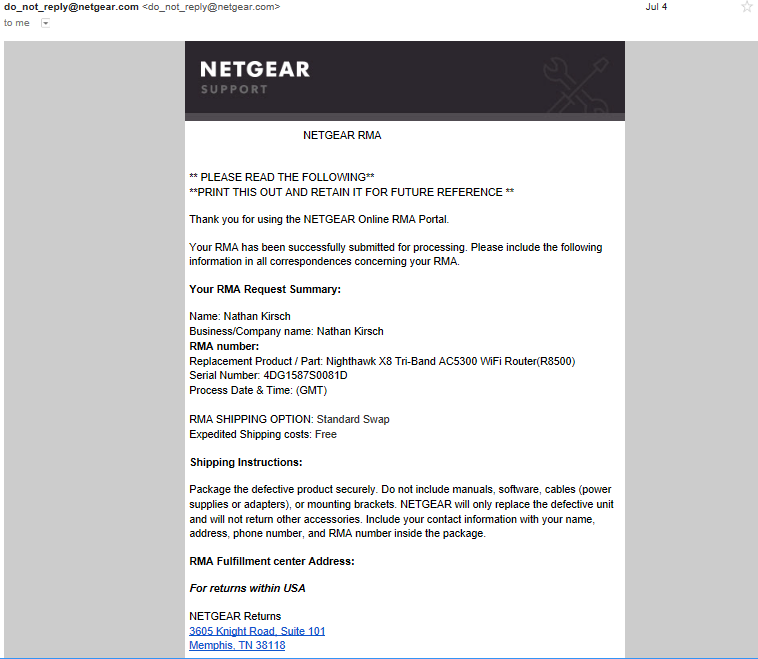 This was a little confusing and the second and final e-mail we received from Netgear that day didn’t even have an RMA number listed. We dropped off the card with USPS and shipped it Priority Mail 2-Day. We put the RMA number as a reference number on the shipping label, printed up a quick letter for inside the box that explained the issue, had our full address and the RMA number and we also used a sharpie pen to write the RMA number on three sides of the shipping box with a permanent pen. We used a Priority Mail Regional Rate Box ‘B’ from USPS, so return postage was affordable just $8.42 and it included $50 of insurance. 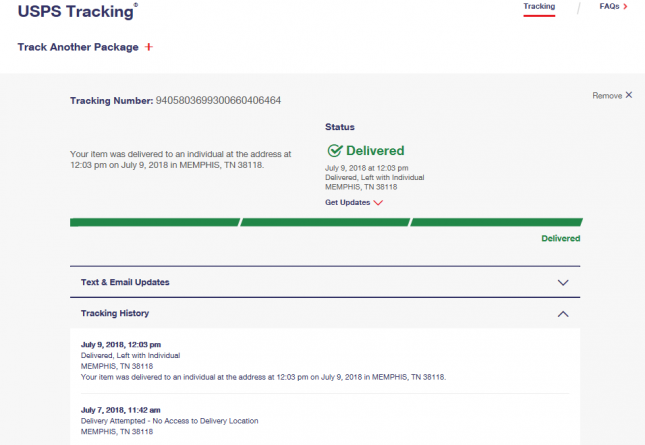 Our faulty Netgear Nighthawk X8 Wifi Router was delivered to the Netgear Service Center at 12:03 pm on July 9th. This was after a failed delivery attempt on July 7th, which happened to be a Saturday. The Netgear service center is closed on weekends it appears. We knew our package got delivered to Netgear, so we called at 4:30pm to check to see if they received it okay and to see how long it would take to get the replacement. We were never told how long it would take to get a router back in our hands. They said they haven’t received it yet and that it might take them a few days to open the box. 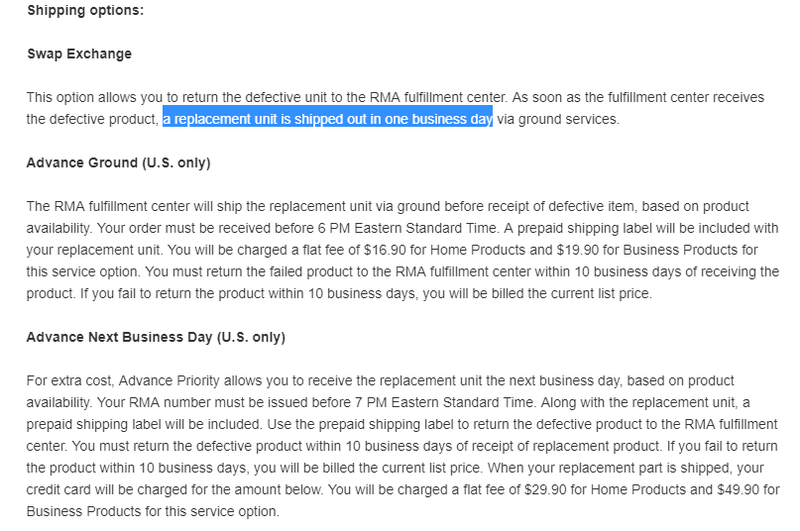 Netgear customer service said it would take 10-12 days for a standard RMA, but then said sometimes it might take as many as 15 days. What in the world happened to the 1-day turnaround once they get the defective product? We’ve been checking the status of our Netgear RMA online multiple times per day and it still shows that our router hasn’t been returned. We know the router was delivered on Monday, but here we are five days later and the RMA status shows that we haven’t returned the Netgear Nighthawk X8 wireless router yet. We still haven’t heard anything from Netgear, so we figured that we’d give customer service yet another call. It took just over 25 minutes to get someone on the phone at 8am CT this time around. The customer service representative took our name, e-mail address and phone number and then asked what she could do. We asked for an RMA status check and after a brief pause she said we opted for option number 1, the standard swap RMA and that we need to send the router back. She was informed that we mailed it 11 days ago and then placed us on hold. After about five minutes she came back and said that she has no way to check the status since we opted for the standard swap RMA service. She stated that she would escalate the case to a special team to trace the package internally, but stated twice that we would receive a replacement R8500 router in 3-4 business days. Then she said that since this was a Nighthawk router that we needed to mail proof of purchase to the RMA address that we sent the router to. We informed that it was a Christmas gift and she said not to worry that they will still take care of things. During our conversation we picked up that on the fact that the Netgear warehouse and the Netgear Fulfillment center might not be at the same location from the sounds of things. We were curious about what was going on so, we looked into the address that we sent the router to. It turns out that 3605 Knight Rd Suite 101 Memphis TN 38118 is the Tracelogix USA Headquarters. Tracelogix serves customers in the Healthcare and Consumer Electronics industries with new products, refurbished products, on-site repair services, and depot repair services. It looks like Netgear has outsourced the handling of their RMA services to Tracelogix! A quick search on the Netgear Community shows posts of people getting replacement devices from Tracelogix for the past 5 years, so this is nothing new for Netgear. We got through to Tracelogix customer service (866-258-9975 option 2) within a minute at 2pm and then got transferred to the person handling Netgear. We asked if they got our router and after checking their system with the Netgear RMA number we provided them, they informed us that it was received and that they were waiting on replacement devices to come in. Those new devices should be arriving by July 20th, which is five days away. Tracelogix apologized for the slow turnaround time and noted that Netgear changed their RMA system recently and that things aren’t as fast as they should be. They also noted that our Nighthawk X8 AC5300 Smart WiFi Router (R8500) was approved to be replaced with the newer Nighthawk X10 AC5300 AD7200 Smart WiFi Router (R9000) and that once the replacement units come in that they would 1-day ship it back to us for the longer than expected wait time. Tracelogix customer service was amazing. They were easy to get on the phone, were native English speakers and clearly explained what was going on. 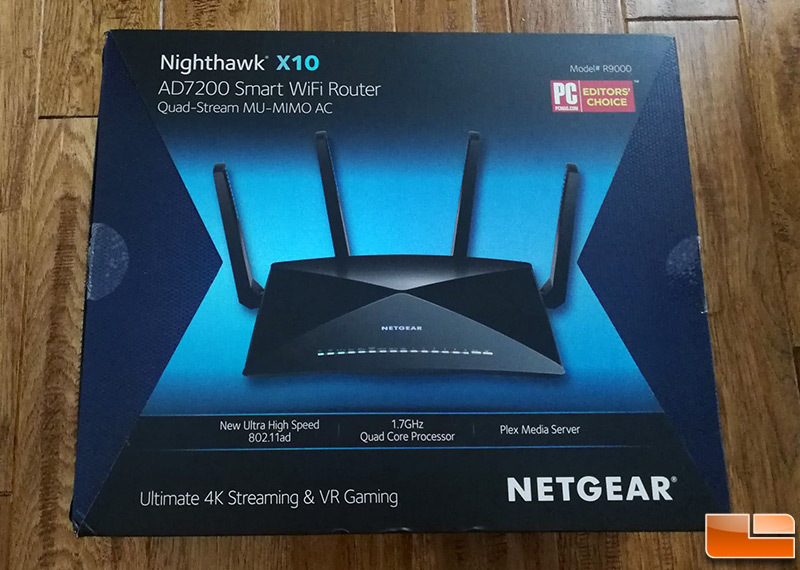 The upgrade to the Netgear Nighthawk X10 ($389.99 shipped) is nice as it has a quad-core 1.7 GHz processor, Plex Media Server and one 10G LAN SFP+ port that allows data transfer rates of up to 10 Gbps. It’s been 18 days since our router broke and 17 days since we sent it off. Netgear has not contacted us once since the RMA was issued. The website still shows it wasn’t received. Netgear customer service said our case was going to escalated four days ago and that we were to receive the replacement by today. That appears to have been dead wrong. We called phone support again and they told us that we selected the standard swap service and that we need to return the router. After explaining we already sent Netgear the router they placed us on hold to talk to a supervisor and to read our case notes. They came back saying the router was out of stock and would be replaced with a new R8500 that was due to arrive to the warehouse July 24th. Tracelogix said we were being upgraded to an R9000 and that we should get it before that. Let’s see who is right. We got an e-mail from FedEx letting us know a shipment was on the way. 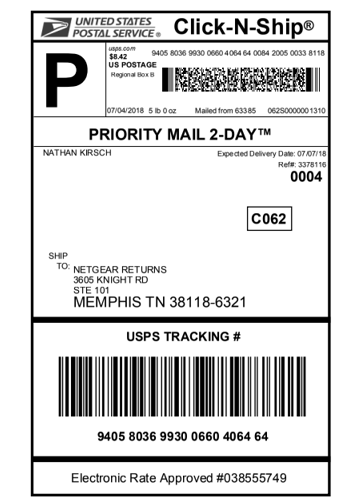 The purchase order number shows that we are getting an R9000-100NAS (Netgear Nighthawk X10 AD7200) and that it is being shipped overnight. 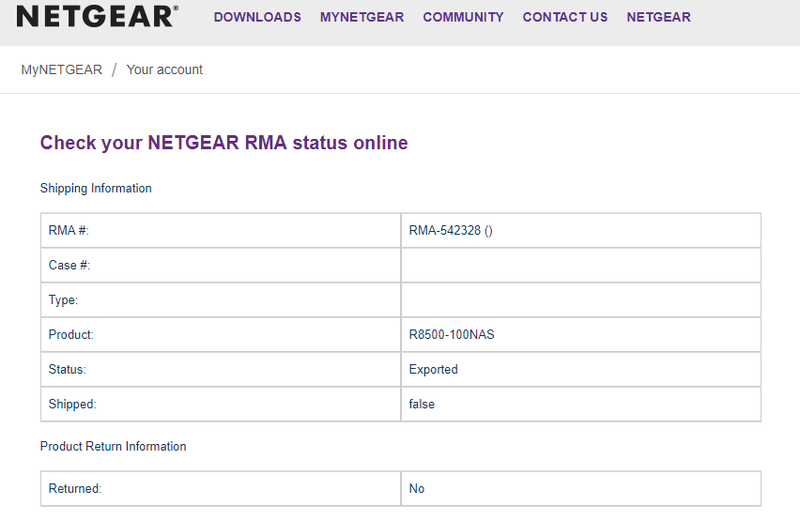 The Netgear RMA Status page still shows out router as not being returned. Our replacement router was delivered by Fedex today. It was a brand new Netgear Nighthawk X10 just like Traceogix said it would be. It works fine and our wireless network was back up and running! It was easy to get a Netgear RMA number, but after that it felt like Netgear forgot about us. Not one e-mail or phone call was received and the 1-day business day turnaround time (TaT) Netgear talks about on their website was rubbish. Not hearing from Netgear once they received our router and never having the online site say they received our router was disappointing. It would have been nice to have some correspondence from Netgear during that time period. Our experience was using the ‘standard’ swap RMA method, so maybe they want the experience to be bad to get you to pay more for an advanced RMA method. It should be noted that Netgear uses overseas call centers where you might have to wait for up to an hour to speak to someone that doesn’t have accurate information to what is going on. Bypassing Netgear customer service and speaking directly to Tracelogix customer service was a night and day difference. That is more than likely the last thing Netgear or Tracelogix want to hear, but it is the truth. From the time we 2-day shipped our router to Negear and got overnight shipping back, it took 20 days. That is longer than we expected, but we are up and running again with a newer model that we returned. How was your Netgear RMA experience? Please feel free to share your thoughts in the comments below!